It was beginning to look like Teen Mom 2’s Jenelle Evans and Gary Head were done for good. Jenelle was back with her old flame, Kieffer Delp, and Gary seemed like he was trying to move on. It is unclear whether Kieffer has already gone back home to New Jersey, or whether he is still in North Carolina, but one thing is for sure, he seems to be the one most upset by the break-up, as his tweets the past two days have been a mix of heartfelt emotion and trash-talking Jenelle, with posts such as “From the third day I knew her until last Thursday I loved her with every little bit of love I’m capable of generating now no,” to “Def hit that two weeks [before] they got together and for a year [before] that I got her nice and stretched.” Way to keep is classy, Kieffer. He also claims Jenelle is still texting him, but says he is not responding. Kieffer, however, seems to think Jenelle never really loved him. “She doesn’t want me Gary was acting up and bam there I am,” he tweeted Thursday. Sure Jenelle, whatever you say. Let’s see how long this lasts. 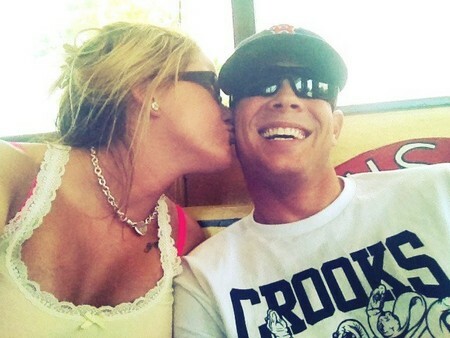 CDL Exclusive Interview With James Duffy: Teen Mom 2’s Jenelle Evans Salary Revealed!